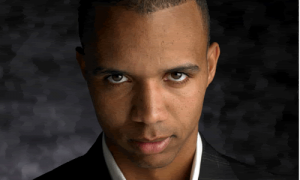 The long-running legal battle between prominent high-stakes gambler and pro poker player Phil Ivey and New Jersey’s Borgata Hotel Casino & Spa is officially moving on to an appeal, following the filing of a formal notice of appeal by the attorney representing Ivey and co-defendant “Kelly” Cheung Yin Sun in the high-profile “edge sorting” case. Louis M. Barbone, the New Jersey attorney who’s been representing Ivey and Sun in the case, filed a corrected copy of the notice of appeal on August 31. Barbone’s filing came just three days after the presiding judge in the Ivey / Borgata dispute, US District Judge Noel L. Hillman, declared his 2016 decision in the case to be final. Hillman also rejected a motion by Ivey’s counsel to stay the financial portion of the judgment pending the the appeal, a necessary technical step that now brings Ivey and Sun squarely into the sights of the Borgata’s possible collection efforts. The appeal in the case will be heard in the US Third Circuit Court of Appeals at an unknown future date. Hillman’s December 2016 ruling granted the Borgata’s parent company, Marina District Development Co., LLC, the $10.13 million judgment against Ivey and Sun. That judgment was in large part a refund of the $9.6 million profit gained by Ivey and Sun through the pair’s elaborate “edge sorting” scheme at the Borgata’s high-stakes mini-baccarat tables during four separate casino visits ending in 2012. 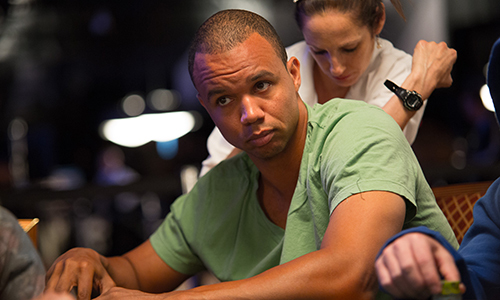 The Borgata sued Ivey, Sun, and playing-card manufacturer Gemaco in 2014; that case took over two years before its initial ruling was rendered, yet that turned out to be only the first act in a multi-stage legal play. Ivey’s counsel announced in early 2017 that the ruling would be appealed, but it took more than a year and a half for secondary issues in the complex case to be resolved. Most of those issues dealt with the third co-defendant in the case, Gemaco, which manufactured the bright purple cards specifically requested by Ivey to be used at the Borgata’s mini-baccarat tables. The Borgata has since dropped its claims against Gemaco, though Gemaco and Ivey eventually filed cross-claims against each other. Those claims are likely to be heard only if Ivey loses his appeal against the Borgata ruling and seeks to recover some money from Gemaco, though the basis for such a claim is unknown. Hillman ruled that Ivey’s and Sun’s claims of “devastating impact” simply failed to meet that standard. Wrote Hillman, “Defendants simply say that returning the $10,130,000 Plaintiff paid them to them in the first instance would have a ‘devastating impact’ on them. Without any evidence to support their claim that they will be irreparably harmed if the Court does not stay the judgment pending appeal, Defendants have not met their burden under [applicable rules] to warrant a stay of the judgment pending their appeal. Consequently, the Court will deny Defendants’ motion. As a related matter, the Court finds that there is ‘no just reason for delay’ to enter a final judgment as to Plaintiff’s judgment against Ivey and Sun. Accordingly, the Court will direct that Plaintiff’s judgment against Ivey and Sun is final.